The chancellors and presidents of UC Berkeley have always dealt with passionate protesters. It is they who ultimately face the the trial of decision-making when politics risk disrupting their institution’s academic purpose. Whether in reaction to Mario Savio’s demands, the ban on affirmative action or the fiery Milo Yiannopoulos protests last spring, chancellors continually find themselves caught between the rock of student opinion and the hard requirements of their job description. 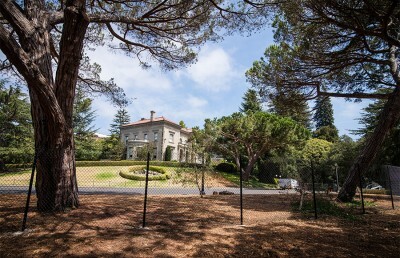 Proposed initially by former campus president Robert Gordon Sproul, the oral history archives of the Bancroft Library lend insight into the minds of the campus figureheads as they recount their experiences from childhood to retirement and beyond. 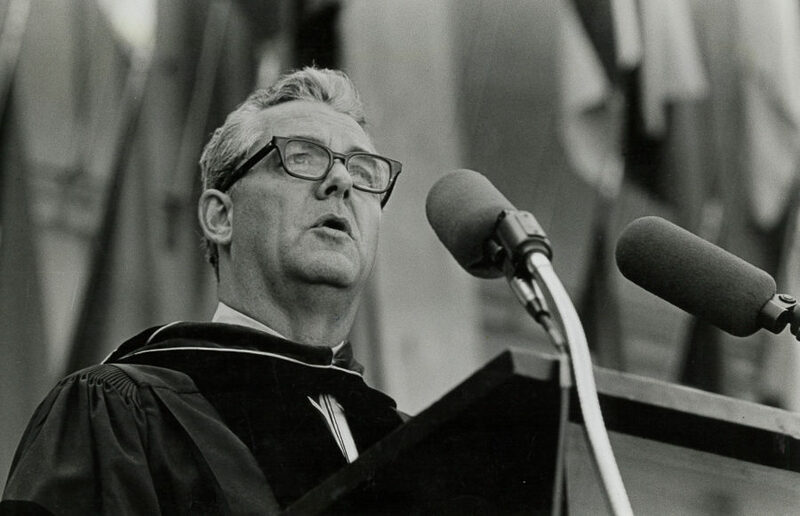 The first campus leader to be individually interviewed about his experience was Chancellor Edward Strong, who held the top job from 1961 to 1965. Strong, along with many other chancellors, talked through the dilemmas he faced, which largely have not changed: politics on campus, campus-regents relations and a meager budget forcing painful concessions. A contentious issue that remained present throughout UC Berkeley’s history was how — as former chancellor Roger Heyns described it — student unrest and the “integrity” of the campus stood, at times, in opposition to one another. “If (UC Berkeley) turned itself into an instrument of political action, led by the faculty or the students, it becomes itself a political instrument, an object to be possessed, an object of control,” Heyns said. Heyns, chancellor from 1965 to 1971, witnessed the height of the Free Speech Movement protests and reflected at length on how the campus had lost the trust of the UC Board of Regents, the government, the alumni and the public, all of whom he depended on for funding. His ultimate goal then became to keep UC Berkeley apolitical and running as usual. News of the 1970 bombing of Cambodia proved, according to Heyns, the most trying episode of his chancellorship, as he tried to keep the school on track for spring semester graduation. As “social pressure” to cancel classes weighed on faculty, Heyns recounts the governor’s deliberation to close the university and his own work to keep the facilities running. So, too, did former chancellor Chang-Lin Tien speak of his “apolitical” objectives in office, starting the job in 1990. Yet on multiple issues, ranging from immigrant rights to affirmative action, Tien spoke his conscience. He recounted how he “fought very hard” to prevent the passing of the UC Regents’ Special Resolution 1, a ban on the consideration of race, ethnicity and gender in the admissions process, but in the end was bound to the university’s policies to abolish affirmative action. 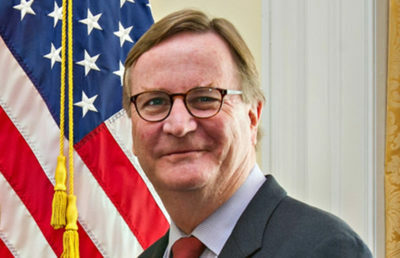 This compliance made him, according to Tien, a worse “enemy” of the liberal resistance than even former regent Ward Connerly, who committedly led the efforts to abolish affirmative action. Accountable to the regents and the California government, Tien even contemplated resigning in protest after the the decisions were made to prohibit affirmative action through the Special Resolutions 1 and 2, as well as Proposition 209. Tien nevertheless stayed on until 1997, working “within the system” to promote diversity. His efforts to work “within the system” and his struggles with “more radical or liberal” campus groups reflect some of the challenges faced by more recent chancellors. Current Chancellor Carol Christ faced public scrutiny for Milo Yiannopoulos’s last two campus appearances and the protests they evoked. While speaking to the ASUC Senate last October, Christ called “Free Speech Week” “a political theater,” and stated that the campus had not allowed itself to give into provocation by Yiannopoulos. Multiple ASUC senators responded negatively to her address, continuing the history of student disagreement with campus administration over politics on campus. As UC Berkeley maintains its reputation for political activism, future chancellors will likely look to the work of past campus leaders, as they continue to reconcile the use of campus as a stage for political speech, all the while upholding its reputation as a top-ranked university.